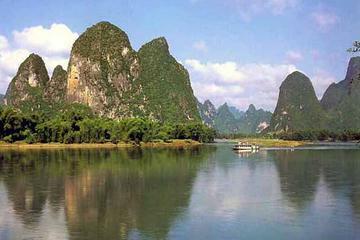 Wildlife in China is very diverse, there are over 30,000 kinds of plants and over 4,400 species of vertebrates. Because of China's immense range of climates and landscape, there are many different kinds of habitats which support many different kinds of flora and fauna. 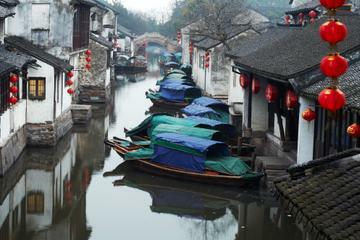 China's natural world has been since ancient times a source of inspiration in the arts, literature, religion and mythology. Philosophers have preached the virtues of living in harmony with nature for centuries. Unfortunately, the rapid economic development and rate of urbanization in China have led to increased deterioration of the environment and loss of habitat for many of the species endemic to China. Many of them are currently listed as endangered, and none more well-known than the Giant Panda. 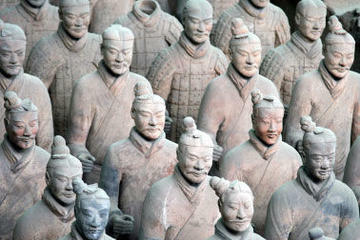 Here are some of the most notorious animals native to China. 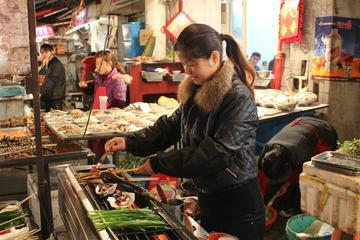 Some of them are in danger or vulnerable to extinction, and some have special significance in Chinese Culture. The links will bring you to more detail about the particular animal and its environment, as well as the places where we have been fortunate to appreciate some of them during our travels. The Giant Panda roams the forests and mountains of South West China. 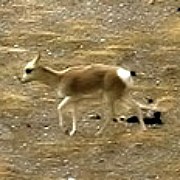 An endangered species, many reserves have been set up for the conservation of this animal unique to China and considered a national treasure. 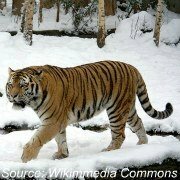 This is China's top predator, also known as the Amur Tiger for its homeland region, the temperate snow-covered mountains in north-east China. Also an endangered species due to excessive poaching. 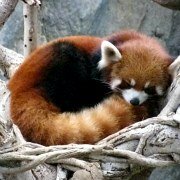 Mainly tree-dwelling in the cold mountainous forests of central and Southwest China. Threatened by deforestation, this is also an endangered species and under state protection. Along with Pandas, considered national treasures. 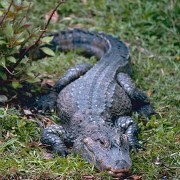 Similar to the American alligators but much smaller and completely armored, inclusive belly. Its critically endangered population of perhaps a couple of hundred lives along the ponds and wetlands of the lower Yangtze River. 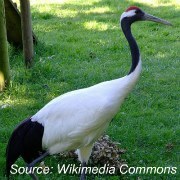 Found in the marshes and riverbanks of East and East-Central China, this is one of the largest of cranes easily recognizable for its red patch on the head. Cranes have been for long a symbol of longevity in China. 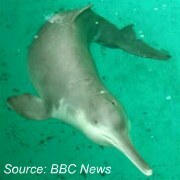 Known as the Yangtze River Dolphin is a fresh water dolphin only found in the Yangtze River. Sadly it has been categorized as critically endangered and possibly extinct, since a 2006 expedition failed to find any of the species in the river. 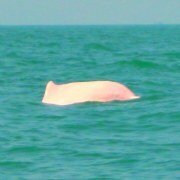 Also known as the Chinese White Dolphin, is mainly found around the waters of Hong Kong and the Pearl River Delta. 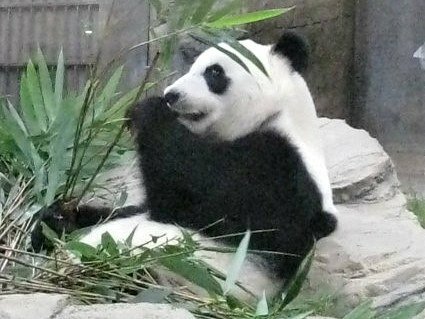 They are endangered and became the official mascot of Hong Kong's handover to China. Also a national treasure and a "living fossil". These creatures have existed from prehistoric times, i.e. they were around along with the dinosaurs, and have managed so far to defy extinction but are critically endangered. 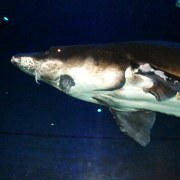 They are only found in the waters of the Yangtze River. 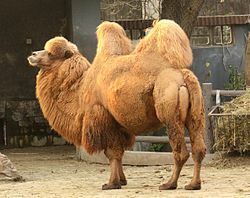 It is found accross the dry deserts in Northern China. 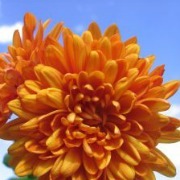 They have been domesticated and are used to provide transport accross the vast areas. A native from the Tibetan Plateau, it prefers flat, open terrain, with sparse vegetation cover. 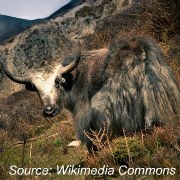 The hardy yak is native to the high plains of the Himalayas and essential for Tibetans subsistence. 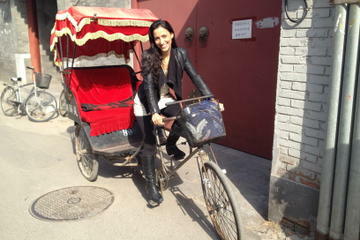 Used in transportation as well as for its meat, milk and even hair. 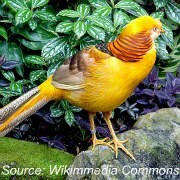 Also known as the Golden Pheasant, is mainly native to forests in mountainous areas of western China, also commonly found in zoos. The Pheasant is for Chinese a symbol of good fortune and beauty. 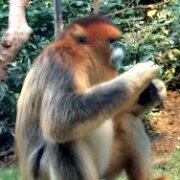 If the animal life diversity in China is great, its plant life is certainly profuse and one of the richest and most diverse in the world. Just about everything grows in China due to the wide range in temperatures from sub-zero frigid climate to hot, humid and tropical. Instead of giving you figures and lots of names that probably don't mean much to you, here is a selection of some interesting facts about China's native plants and vegetation. 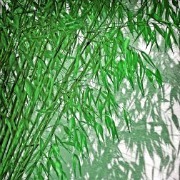 Bamboo, most Chinese have lucky bamboo plants in their homes right? 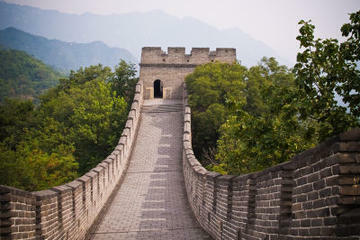 Bamboo of course grows everywhere in the world but is thought to have originated in China. Bamboo has traditionally had many uses, in construction, as decoration and food for example. 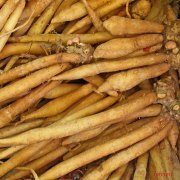 Ginseng, which is quite popular for its medicinal qualities, the part that is used is the root. Bonsai Trees? 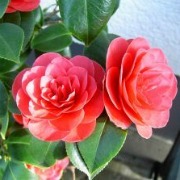 Bonsai trees are not really a "species" but actually an ancient art form of growing dwarf trees. 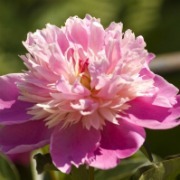 The Peony is considered China's national flower, is treasured as the "color of the nation and the scent of heaven" and often associated with nobility and peace. 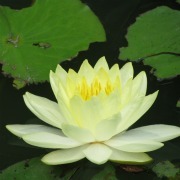 The Lotus flower has a special meaning in Buddhism, the Lord Buddha is often depicted sitting on a throne of Lotus. 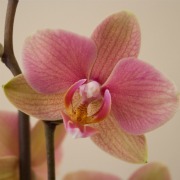 The Lotus means purity and is a symbol of spiritual growth. 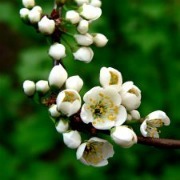 Plum Blossoms have been a favourite subject of Chinese painters through the ages. Plum blossoms are a symbol of strength and resilience, as the plant braves the winter and blooms before any other plant, it is regarded as the symbol of rebirth and growth. 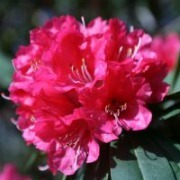 Here are some pictures of the above China plants and some more of China's native flowers. I bet you recognize some of these and may even have in your garden! 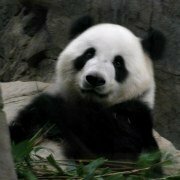 Here's a short trailer to the BBC's Wild China series, it features footage of a wild giant panda as it forages through dense bamboo forests feasting on frozen bamboo leaves. 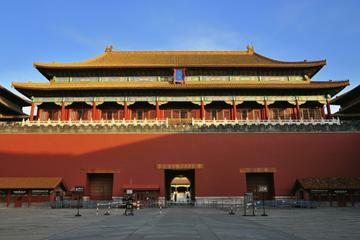 You are here: Home > China Facts for Kids > China Geography - Where Is China?